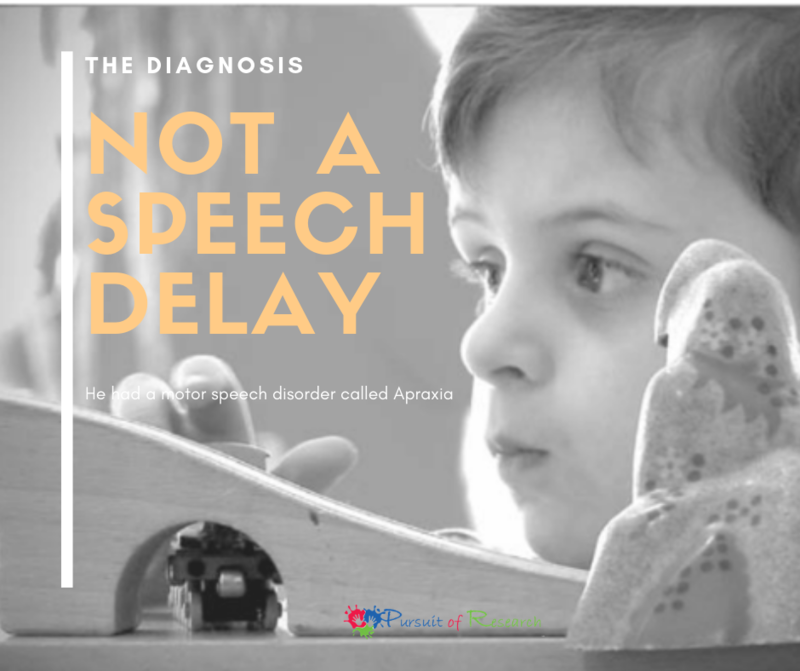 Days after my birthday and a month after my son Ewan’s third birthday, my husband and I were informed that our son had more than a speech delay, he had a motor speech disorder called Apraxia. For reasons not yet fully understood, children with Apraxia have great difficulty planning and producing the precise, highly refined and specific series of movements of the tongue, lips, jaw, and palate that are necessary for intelligible speech. Apraxia is sometimes called verbal Apraxia, developmental Apraxia of Speech, childhood Apraxia of speech, or verbal Dyspraxia. Research shows that 3 – 5 percent of speech impaired preschoolers have Apraxia and the majority of those who have it are boys. The diagnosis was a bit of a double-edged sword. At last, we knew what we were dealing with. We had a name of something we could research and seek out the treatment for. On the other hand, to know that his lack of language was not a speech delay which would be quicker and easier to overcome was devastating. As a trained early childhood educator I did feel validated by the fact that I knew all along that his lack of verbal language was a more significant issue than the experts had been telling me up until that point. It was one of those occasions where it didn’t feel great to be right. The difference between a speech delay and a speech disorder is that in a delay, the child follows a typical path of speech development but at a slower pace. For the child with a speech disorder such as Apraxia, there is a significant gap between their receptive language abilities and their expressive language abilities. In other words, the child’s ability to understand language (receptive ability) is broadly within normal limits, but his or her expressive speech is seriously deficient, absent, or severely unclear. The outlook is promising however and most Apraxic children overcome this speech disorder if they receive the appropriate, intensive speech therapy early on. That was something I could get my head around. I knew the earlier he received intensive speech therapy with professionals who understood Apraxia the better the long term outlook. Here is where my knowledge of child development, and specifically, brain development in young children, was so helpful. The question that kept popping up for me was why hadn’t I ever heard of this? I have worked in the field of early learning and child care for almost 20 years. While working in child care settings, I had taken a keen interest in language development and worked with a lot of speech and language pathologists in order to better serve the children and families in my care. During my work with the Canadian Child Care Federation, I had also managed projects dealing with language development that created resources for the field. Taking this into account, I decided that I would have to begin to inform and build awareness about Apraxia. Not only with those individuals who were in contact with Ewan each day but with others including the community at large. I knew early on that my husband and I would be the best advocates for Ewan. It was our responsibility to inform ourselves, find him the best in speech therapy and inform others about this speech disorder. Looking back on this journey, I recall the many times I heard, “he will be fine” or “just wait and see, he will talk when he is ready” or “he doesn’t feel the need to talk because you are talking for him”. I don’t think people were trying to be insensitive, but these comments were really hard to hear over and over again. 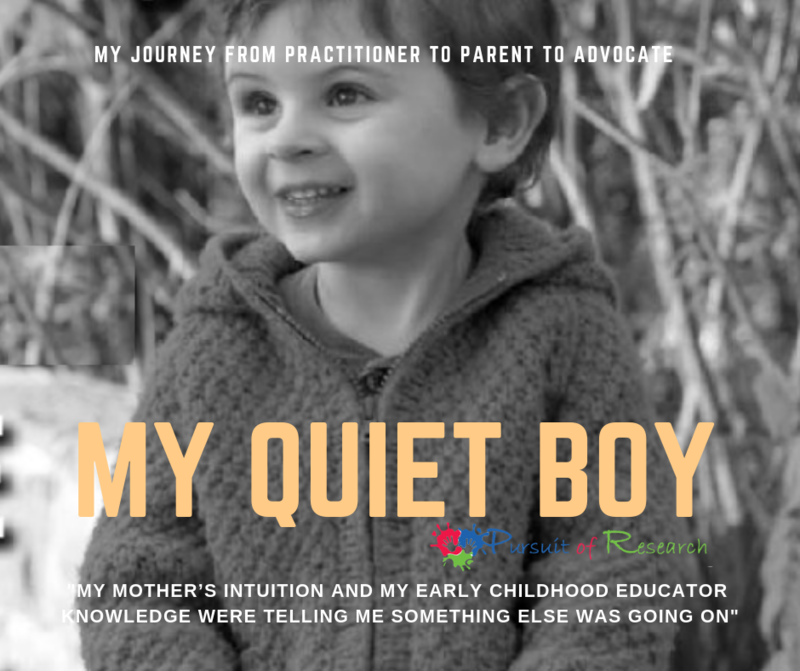 I knew from working with children for so many years that he wasn’t fine and that he wasn’t going to just start talking suddenly, nor was the fact that I am a talkative person making my son silent. My mother’s intuition and my early childhood education (ECE) knowledge were telling me something else was going on. I needed to find the strength to push the experts around me for more of an explanation. I had to become more assertive, which is not an easy thing to do when your profession by nature makes you a nurturing and co-operative type of person. The first step was finding the right speech-language pathologist. The following video is from a hospital in the US but the advice pertains to late talker children anywhere. In searching for an SLP we found Kathleen. Kathleen has provided Ewan and our family with endless amounts of support and information which have eased the journey significantly. 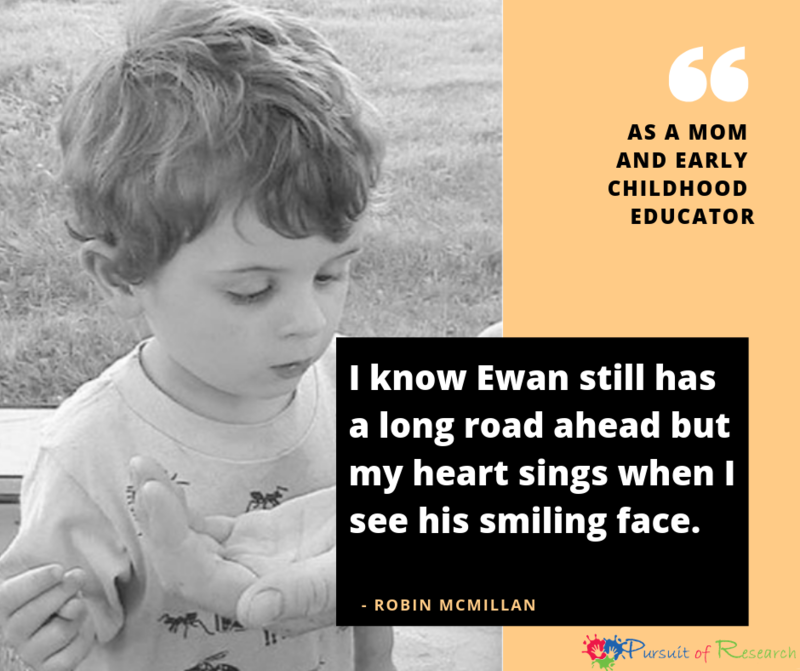 I also knew that key to Ewan’s success in the all-important early years was to have him in a high-quality early learning and child care setting. This quality environment would take the time to learn about Apraxia and work with me and the speech-language pathologist to ensure that we were working towards the same goals. When he was first diagnosed he was in his last few months at a family child care. We loved our care provider. Vyann was knowledgeable, willing to learn about Apraxia and apply that learning into activities of the stimulating program that she provided in her home. It was a sad day when we said goodbye to Tots’ Spot but we all agreed he needed to be with peers his own age. From the first day at the Algonquin Early Learning Centre, we knew it had been the right move. The preschool program has been a great fit for Ewan. Mike and John, his educators, have been very supportive as well as the centre manager, Lisa. We also have the added support of an integration support advisor, Julie, who provides insights and advice to the staff at ELC. I know Ewan still has a long road ahead but my heart sings when I see his smiling face and I feel reassured that with continued speech therapy and attendance in high quality early learning environment, his expressive language will continue to improve by leaps and bounds. Canadian Child Care Federation (CCCF). 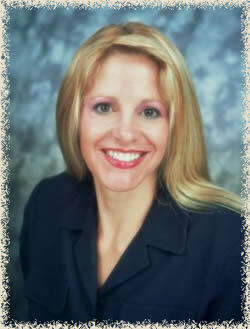 She worked as a front line practitioner for 8 years before joining the staff at CCCF in 1999. 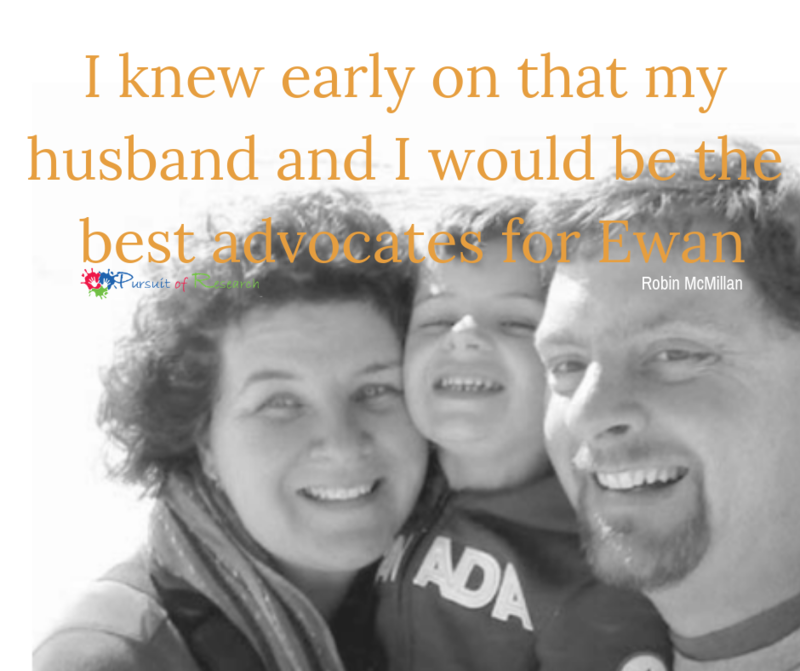 Robin and her husband have started a parent support group called Ottawa Parents of Children with Apraxia.